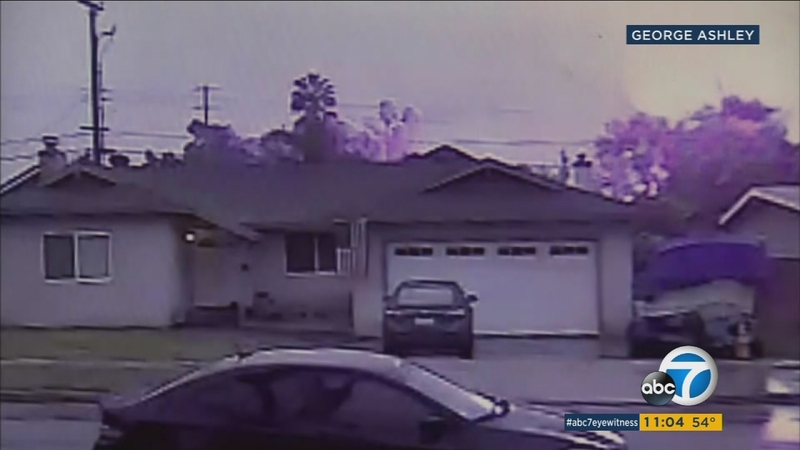 RIVERSIDE, Calif. -- The 83-year-old man at the controls of a plane that crashed into two Southern California homes had loved to fly and had taken to the skies for many years, family members said. Nouri Hijazi had flown a group of five that included his wife and daughter from their home in San Jose to watch his granddaughter's cheerleading competition at the Disneyland Resort, but just after takeoff on the return trip his small Cessna hit the houses in residential Riverside, killing him, his 67-year-old wife Dana Hijazi and 22-year-old family friend Adine Farelas, authorities and family members said. There were no immediate indications of what caused the crash. "He was an extremely experienced pilot, which was his hobby, his passion," Christy Crown, sister-in-law of the Hijazis' daughter Stacey Pierce, said in a statement Wednesday. "We want to say how incredibly devastated and heartbroken we are and still trying to process everything." Pierce survived the Monday crash and underwent surgery on Wednesday afternoon, her husband Richard Pierce told the San Francisco Chronicle. She was stable and able to talk to him, Pierce said. The couple's daughter and the other young teen the group had gone to see in the competition both made it home safely to San Jose on a bus with their team. The second teen is the younger sister of Farelas, who died in the crash, and the daughter of Sylvia Farelas, who was the second survivor. Sylvia Farelas is severely burned over much of her body and has undergone two surgeries since the crash. Her son, Brandon Farelas, told KGO-TV that his mother had called him before the flight and said she was worried about the rainy weather in Riverside. Weather in the area 60 miles east of Los Angeles had included rain, but authorities did not say if that played a role in the crash. Dana Hijazi, the pilot's wife, was a pilot herself and a native of Poland. Relatives from there were headed to the US to support their mourning family. Before the crash, the smiling members of the team celebrated their first place trophy win at the weekend's national cheer competition, according to the group's Facebook page. Adine Farelas posted that she was "having a blast" with her mother and Pierce and looking forward to heading to the Disneyland park where the event was to be held. The names of the cheerleaders have not been released. The twin-engine Cessna 310 ignited a major fire that destroyed two homes and slightly damaged two others when it crashed. No one on the ground was hurt. One of the houses that was hit had been empty, but Dave Swinfard was sitting inside the other doing a crossword puzzle when his roof collapsed, the Riverside Press-Enterprise reported. He was not hurt but he was unable to get out any of his 12 cats as the house went up in flames.